Formula-1 Grand Prix SPAIN in Barcelona at "Circuit de Barcelona-Catalunya", Montmelo. 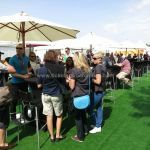 The VIP Silver Marquee is located directly at the race track between the grandstands I and H. It consists of a Self-Service Restaurant tent and an open space area equipped with furniture. 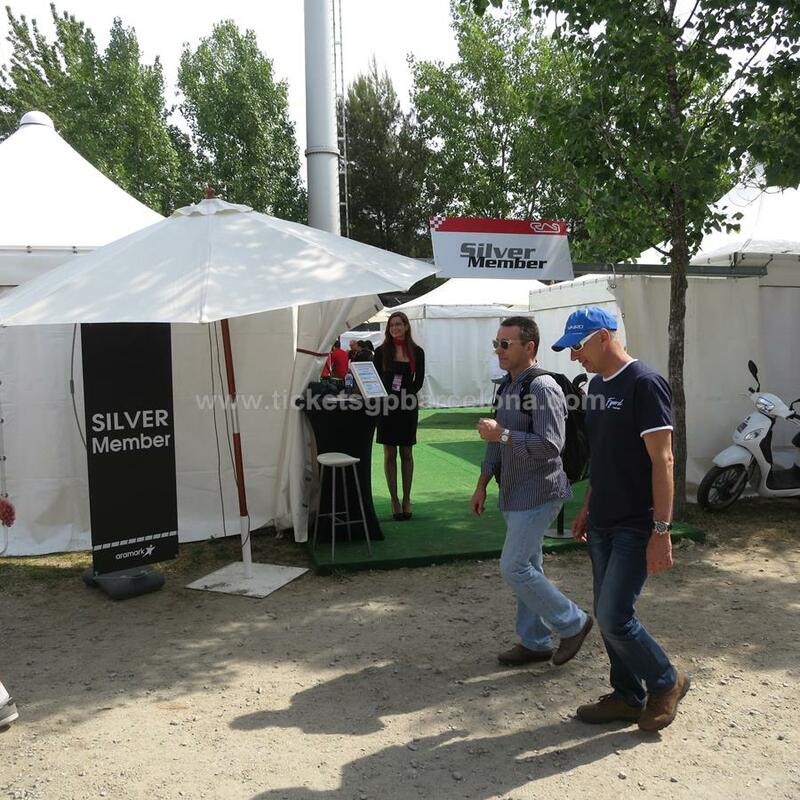 The SILVER MEMBER package consists of a grandstand ticket on the covered grandstand “I” and a catering ticket in the marquee. 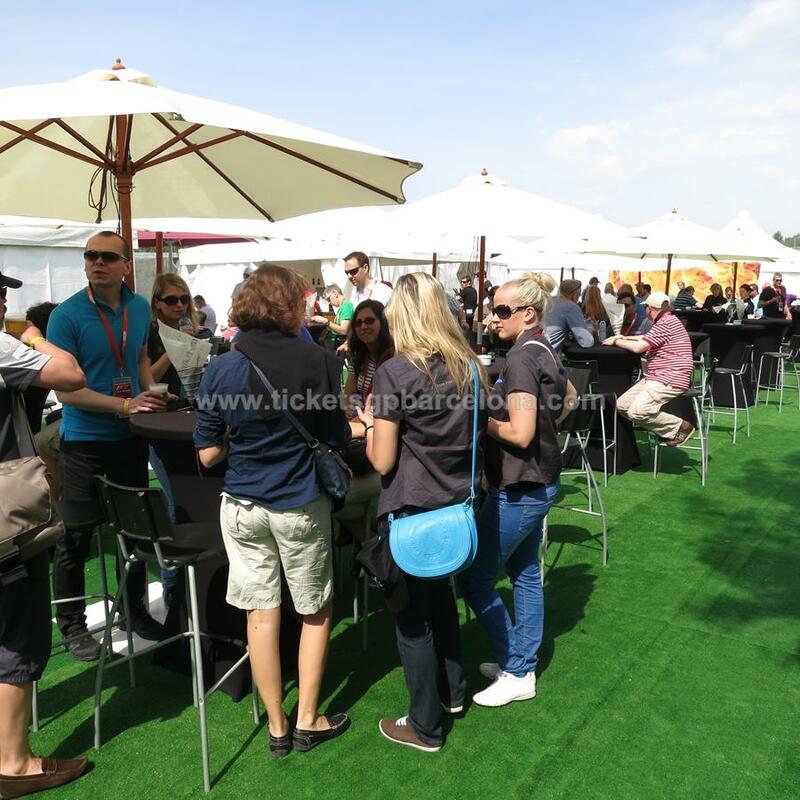 Inside the restaurant tent you will find an open bar and a buffet area where you may take your food and drinks. 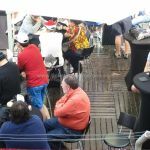 To be able to enjoy your meal several high tables and high chairs will be set up in the open space area of the tent, umbrellas will protect you against the sun. Breakfast: A variety of croissants, pastries, bread, ham, cheese, yogurts, fresh fruits as well as coffee, tea, juices and soft drinks will be offered. Lunch: You can choose between different starters. 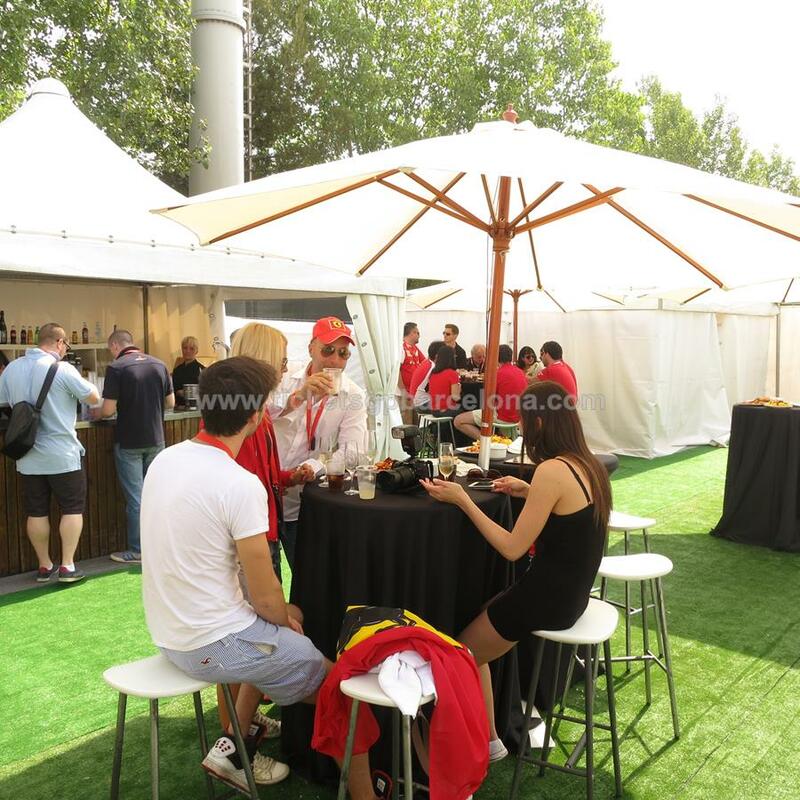 Furthermore you will find a cold and hot dish buffet, desserts and drinks as beer, soft drinks and fruit juices. 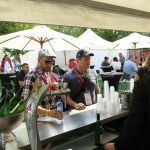 Open bar: Included in the open bar will be soft drinks, mineral water, beer, fruit juices, chocolate milk shakes and snacks. 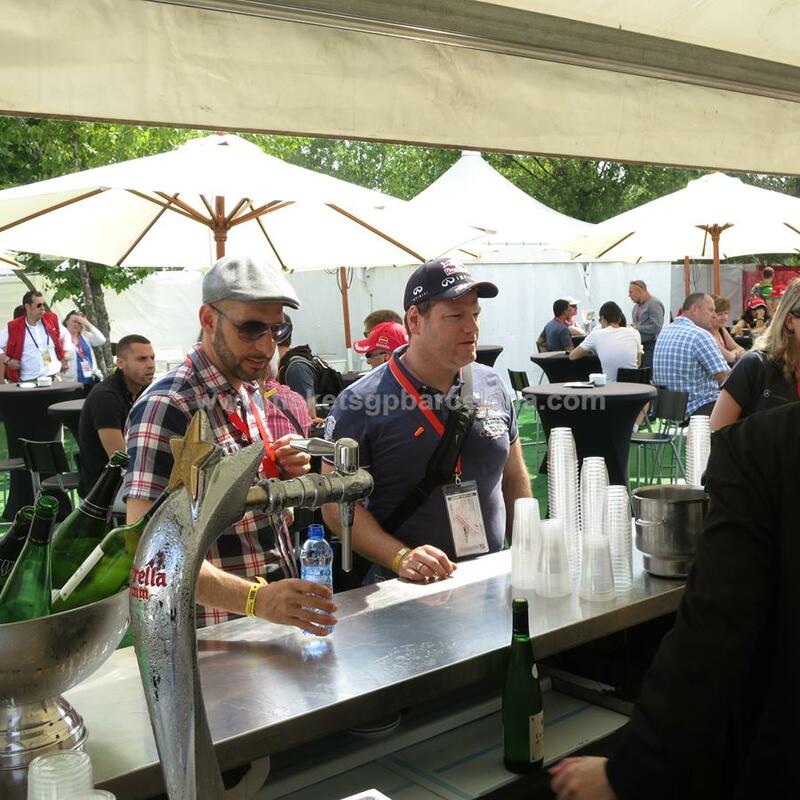 The bar will be open throughout the whole day. 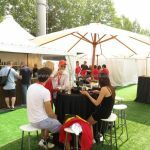 Enjoy the Spanish F1 Grand Prix from Grandstand I, one of the covered grandstands of Barcelona's Circuit de Catalunya, located right in front of the pit lane entry, offering an unbeatable view of the F1 single-seaters leaving the chicane and entering the main straight at high speed. 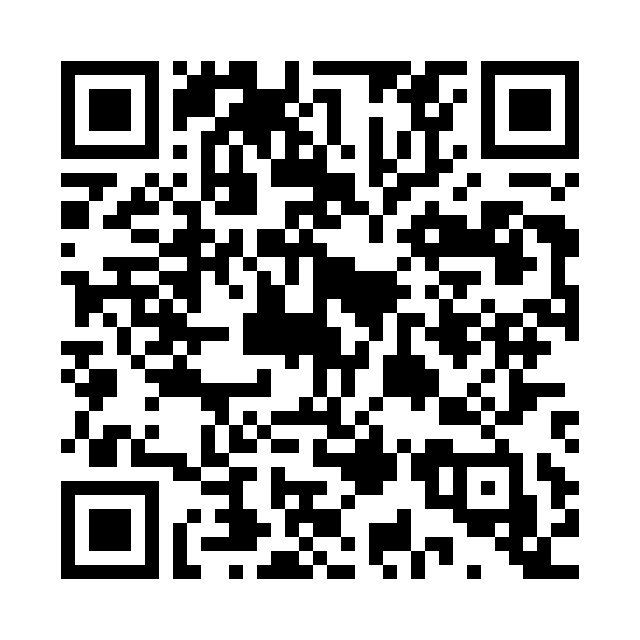 Be prepared for the Formula 1 GP of Barcelona and have a look to the circuit de Barcelona-Catalunya from above and appreciate the location of the covered grandstand I by clicking on the following link “Grandstand I - EntradasMontmelo.com.kmz” , (open file with "googleearth.exe"). Free entrance for children under 6 years old not occupying a seat, half price tickets for children between 6 and 16 years (under 16).